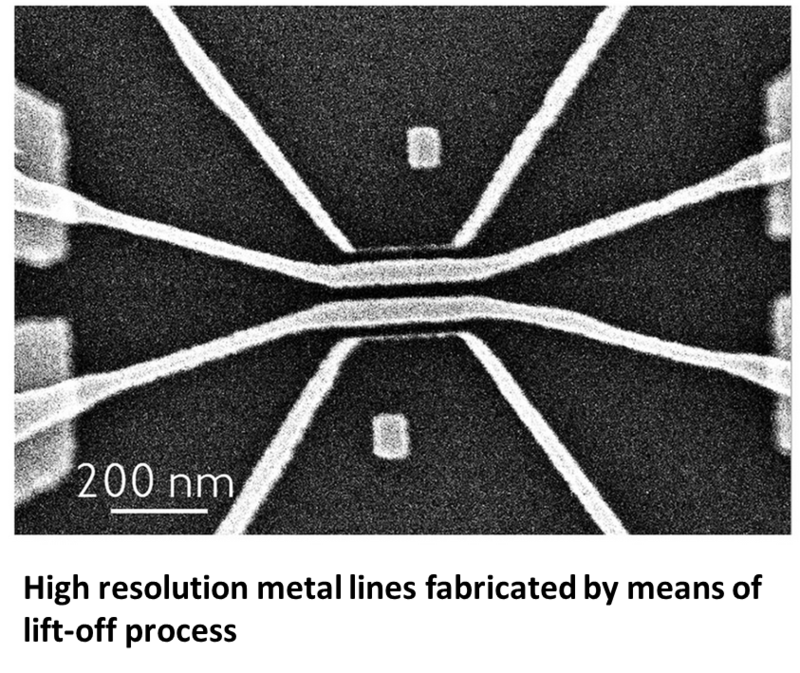 Thermal scanning probe lithography (tSPL), also termed NanoFrazor lithography, is based on heated atomic force microscope (AFM) tips to create lithographic patterns by locally evaporating a thermally sensitive resist. This process enables the fabrication of precise 3D patterns and high-resolution structures without the use of charged particles, such as electrons, which have been implicated in substrate damage. Moreover, AFM imaging is exploited for in-situ inspection of the substrate surface before patterning and of the lithographic structures written into the substrate. The immediate visual feedback of the patterning success allows fast turnaround processing which is further enhanced by the absence of proximity effects. tSPL has been pioneered at IBM Research – Zurich over the past ten years and in 2012 an independent company SwissLitho AG was founded to commercialize the technology. A huge number of applications to solve real world nano-physics problems have emerged since then. High resolution lithography requires the use of thin (typically 10 nm or even less) resist layers which limits the depth of the tSPL written patterns. For real world applications the depth of these shallow resist patterns needs to be amplified at the device level. A two-step etch-transfer process involving an extremely thin inorganic hard-mask layer and a thicker organic resist mask has been developed for the transfer of high resolution tSPL resist patterns. In a first step the shallow tSPL lithographic pattern is transferred into the inorganic hard-mask by means of reactive ion etching (RIE). SiO2 rich inorganic hard masks with a thickness of only 2-3 nm have been found to be ideal for this process yielding high resolution and low line edge roughness patterns. 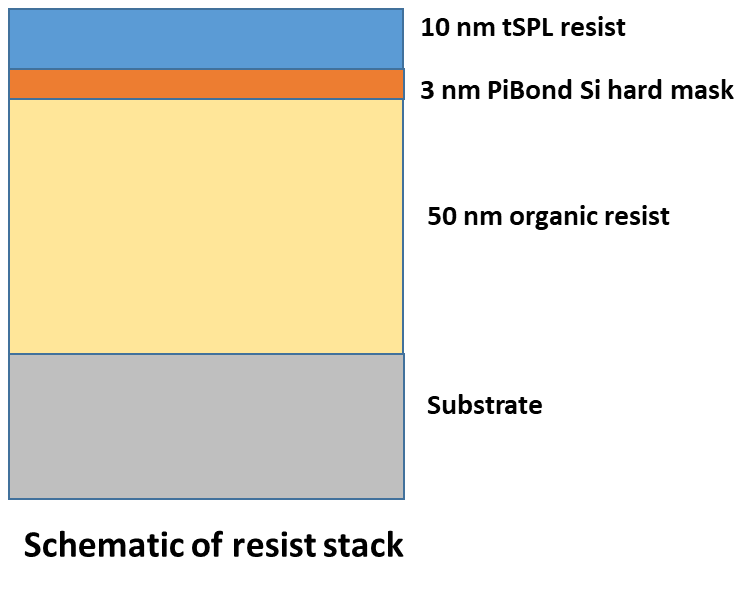 The thin hard-mask layer is sufficient for the subsequent RIE transfer into the second much thicker organic mask layer. A wide range of carbon based resists compatible with typical industry processes including metal lift-off can be used for the organic mask. 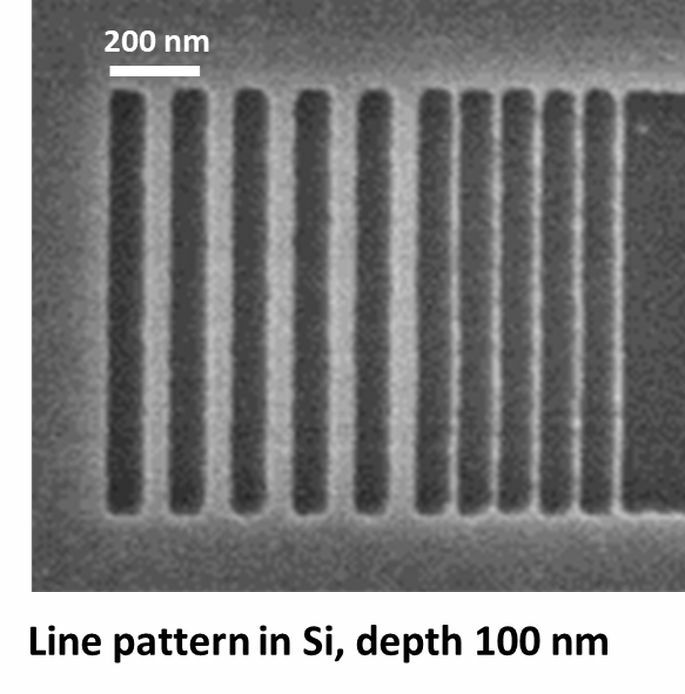 Fabrication of the extremely thin SiO2 rich hard-mask layer in a uniform and pin-hole free manner is absolutely crucial for the whole transfer process to be successful at sub-20 nm half-pitch resolution. The deposition of such thin films of sufficient quality by means of established methods like sputtering or evaporation has been rather challenging. SwissLitho and PiBond have jointly developed a Si hard mask and a process to solve exactly this problem in a user-friendly way that requires only a simple spin coater for the reliable fabrication of the thin inorganic hard mask layer. SwissLitho develops, manufactures and sells innovative tools, termed NanoFrazor, for direct write nano-lithography. The principle of operation is based on heated cantilevers and thermally responsive resists. 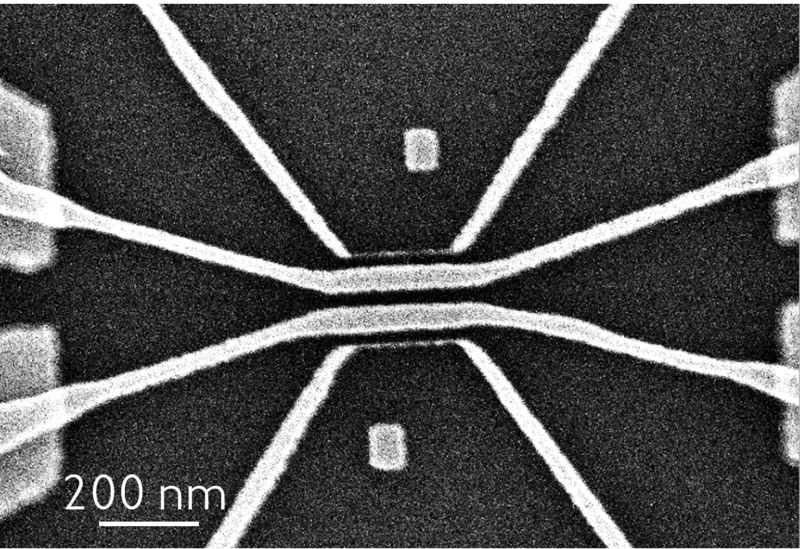 The innovative patterning process enables the fabrication of complex 3D nanostructures with unmatched precision and high density lithography down to sub-10 nm half-pitch resolution. Wet development and vacuum is not needed for this direct write process and samples are not exposed to high-energy electron beams. This novel technology enables easy rapid-prototyping of high-quality nanostructures also on delicate samples for a broad range of nanotechnology applications. The flag ship product “NanoFrazor Explore” was successfully introduced to the market in 2014. In 2017 a table-top entry-level tool “NanoFrazor Scholar” was added to the product portfolio. In addition, SwissLitho continuously develops unique processing know-how to support customers in their applications that often go beyond what is possible by means of conventional nanolithography approaches. PiBond is a leader in the development and production of advanced liquid spin-on materials based on organosilicon and metal oxide chemistries. PiBond has a proven track record of materials innovation and manufacturing for the semiconductor industry. PiBond’s technology and state-of-the-art production plant, and products are key contributors in the production of the latest ultra-high resolution semiconductor devices used in mobile devices, electric vehicles and wearables. PiBond provides products globally with a proven and audited track record, meeting the standards for reliability and high quality demanded by the semiconductor industry.